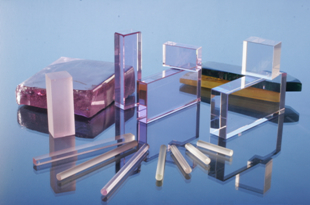 BCG company specializes in the growth of various large sized (135x130x25 mm3) and high-optical-homogeneity laser, optical crystals and semi-conductor crystals. BCG’s technique provides perfect optical sapphire crystals (chemical purity 99,995%, defects-free and with any orientation). These crystals can be produced in the form of wafers, rods, large windows and prisms. These crystals have excellent transparency over wide spectrum (from UV to IR) and precise orientation of optical axes. We offer a choice of products including single crystals: YAG, Nd YAG, Er YAG, Yb YAG, Sapphire, Si and others according to the demand. Recently scientific research made by BCG produced a new type of Nd YAG crystal with emission property two times higher than the one from conventionally produced Nd YAG crystals.